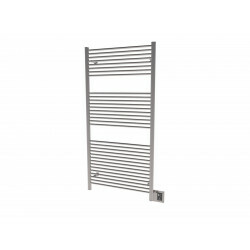 The chic, Italian-made Quadro collection has a modern design featuring square bars. 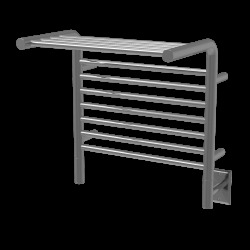 This versatile collection is perfect for drying towels and warming living spaces. 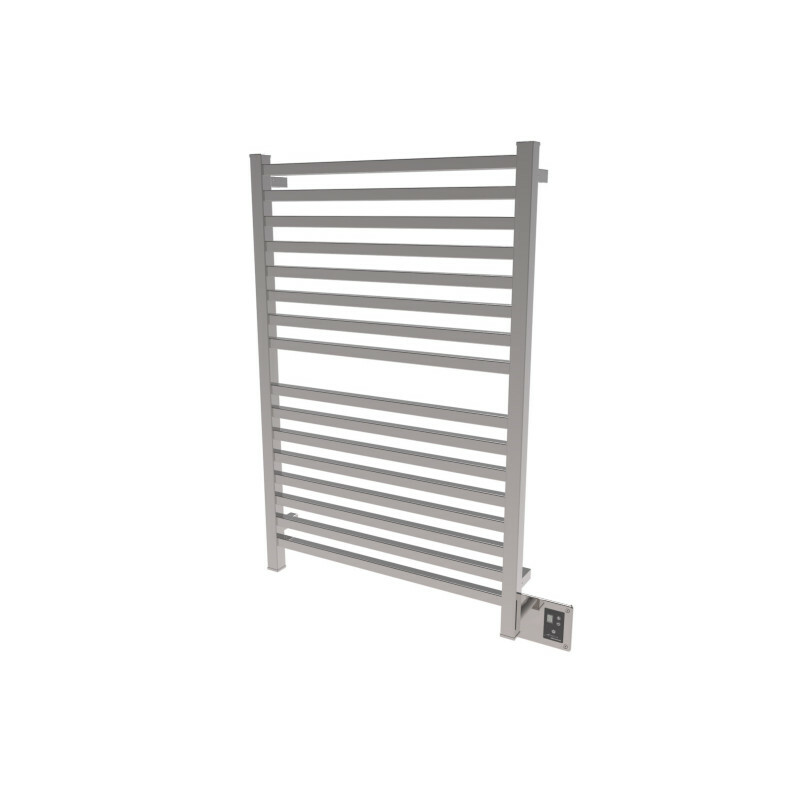 Made of high quality 304 stainless steel, the Sirio collection is offered in brushed and polished stainless steel and oil rubbed bronze. 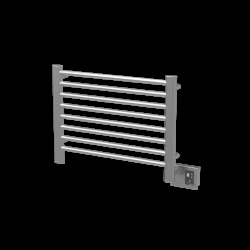 The dual-purpose, hardwired collection includes a Digital Heat Controller giving users control with 9 temperature levels to choose from (except model Q2016 where it is optional). 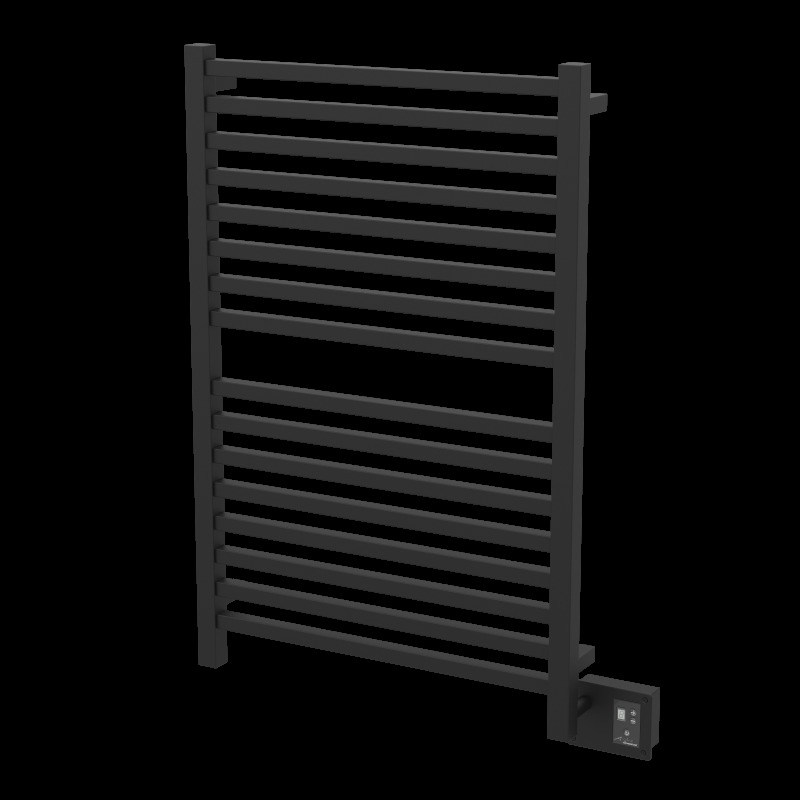 Using Dry Element Technology, it heats up quickly in 10 to 20 minutes. 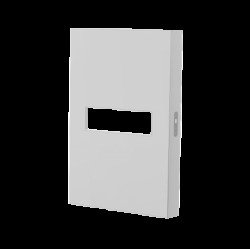 Accessories and programmable timers are available for most models. 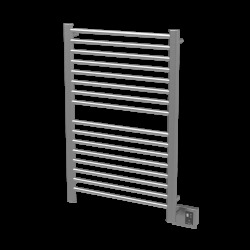 ETL-certified for the USA and Canada, the collection meets rigorous North American safety standard and comes with a 3-year warranty. 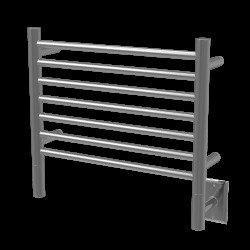 Most models are available for immediate delivery. 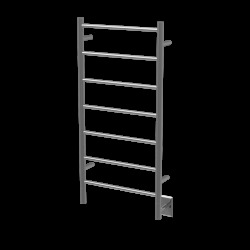 In addition, a large selection of certified models in different sizes are available by special order. 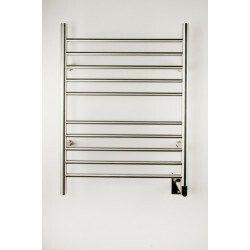 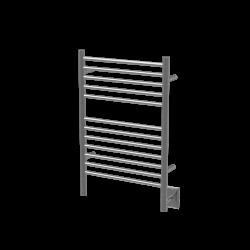 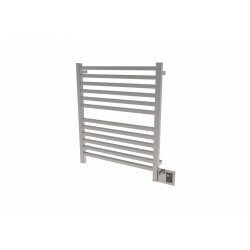 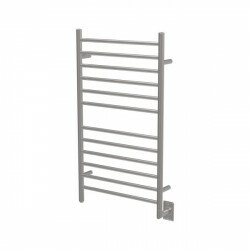 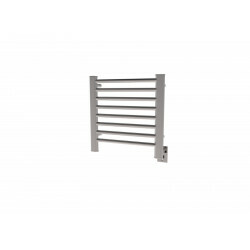 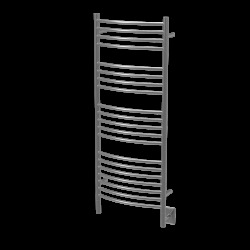 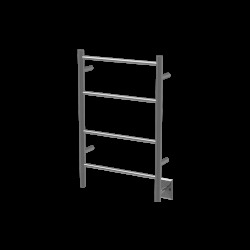 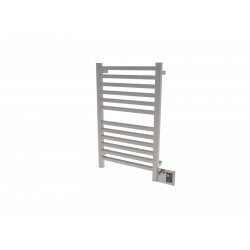 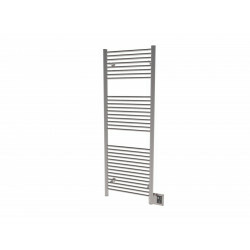 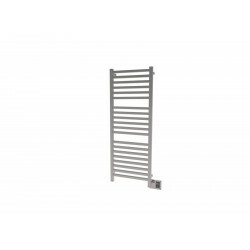 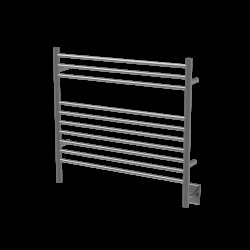 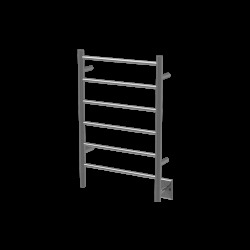 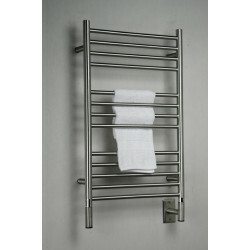 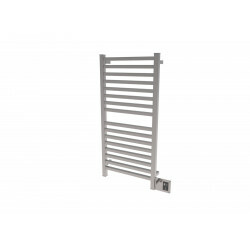 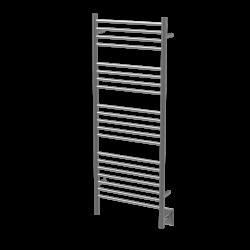 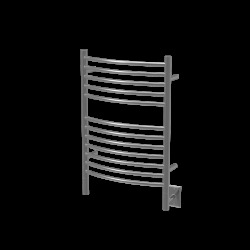 The dual-purpose Towel Warmer and Radiator with 16 brushed, extra wide horizontal bars, in a 8-8 configuration, features a modern design with square bars. 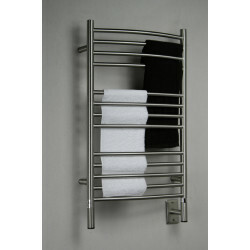 It is perfect to warm and dry 4 large towels, while warming the bathroom and keeping it dry and mildew free. 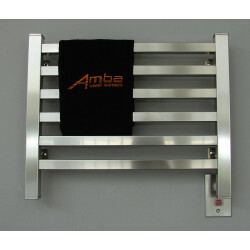 Included is a Digital Heat Controller, which allows you to choose between 9 heat levels. 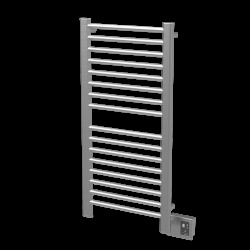 This unit can be installed vertically, horizontally or upside down depending on the application. 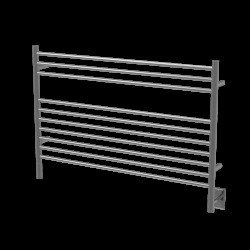 The distance from the wall can be adjusted between 4" and 4 3/4". 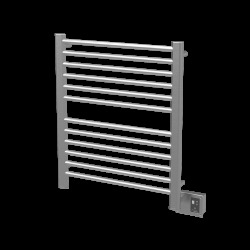 Unit dimensions are 28"W × 42"H. Accessories such as Bathrobe Hangers and Programmable Timers can be added to the unit for extra functionality. 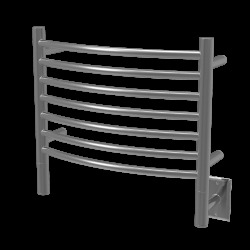 Wiring is also available on the left side, by special order.